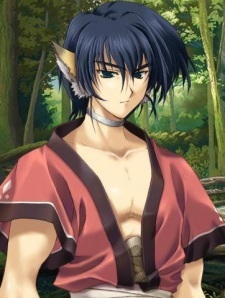 He is Karura&#039;s brother. He leads a rebellion made of freed slaves against the kingdom of Na-Tunku, who overthrew his family when he was young, believing his sister to be dead as well. Brash and reckless, he has little patience and often takes foolhardy risks in battle.When Hakuro and his allies arrive to help him, he stubbornly refuses their aid, despite the fact that the tide of the war was starting to turn against him. After a wake-up call from Karaura (aka, a fist in the face), he reluctantly accepts their help. During the last battle of the revolt, Derihouri discovers that Karura is his sister, who he thought had died. When he becomes the new emperor, he re-names the country Karurauatsuurei, after his sister.